I am hopeful that spring will be here soon. I have seen breaks in the clouds, rain and cold. These little hints that bring birds chirping and a return to outdoor play begin to inspire my path of activity and design. 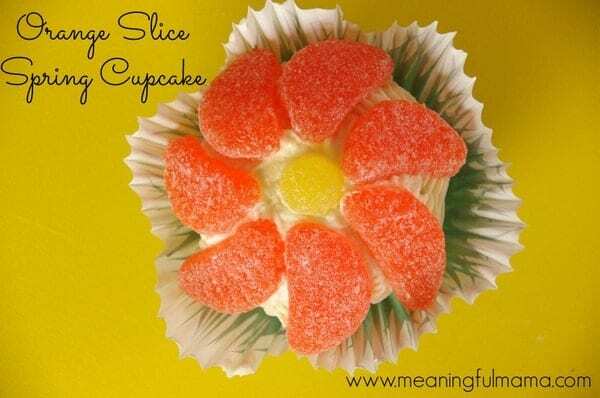 I wanted to create a simple Orange Slice Spring Cupcake to urge spring to arrive sooner. Do you think it will work? 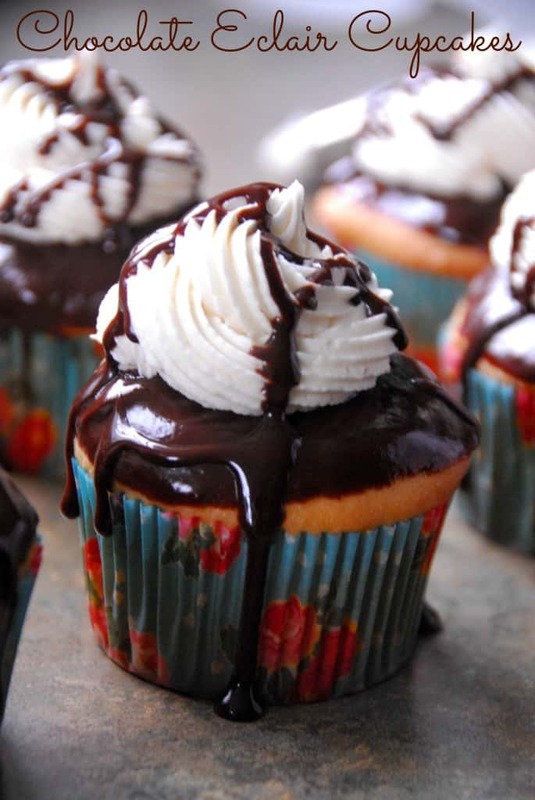 Whether it works or not, these cupcakes certainly brought a little sunshine into our lives. One thing I love about these is that people of all decorating abilities can make them. 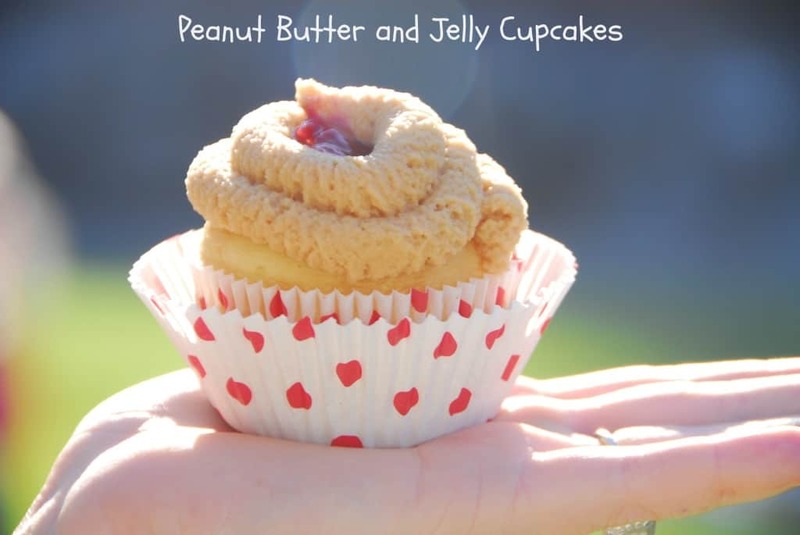 They are a fast and easy way to bring a cute, spring look to a batch of cupcakes. 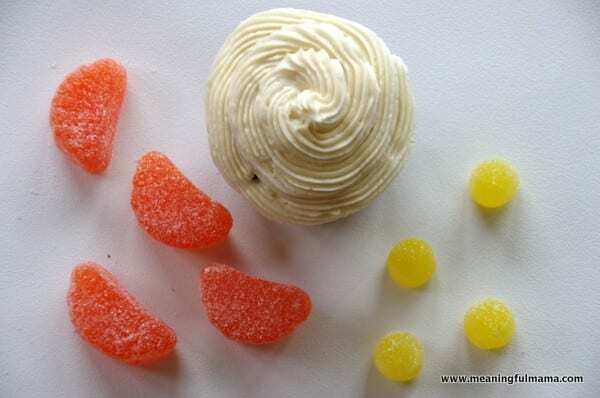 I kind of wish I had developed an orange cream cupcake flavor profile to go along with the design. I might need to get on that. 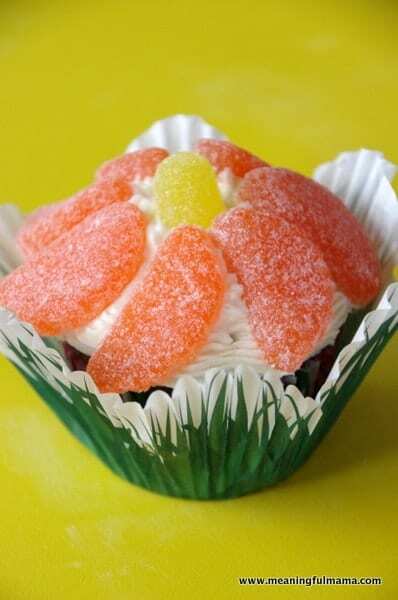 All you need for this cupcake is a frosted cupcake, orange slice candy and gum drops. Here is my favorite White Velvet Cake and my favorite Chocolate Cake recipes. 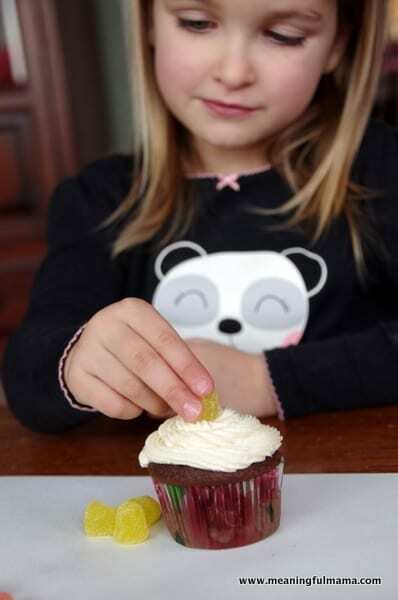 Here is my favorite Buttercream Recipe. Having the base of great flavors is super important. I also want to tell you how hard I find it to decorate with store purchased frosting. I tried the other day, and it was a mess. I would always recommend making your own buttercream if you want great results. I used an open star tip to create the swirl of the frosting. 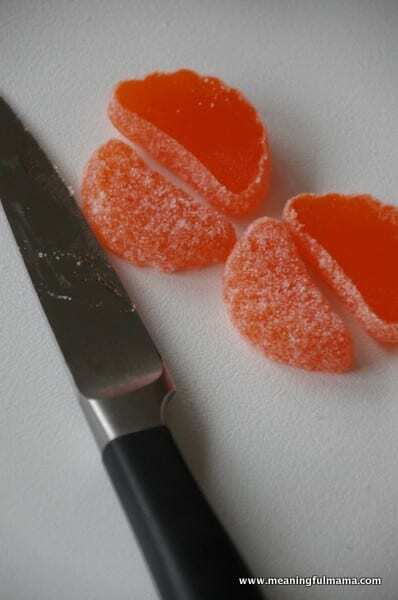 The first step is to cut orange slice candies in half. 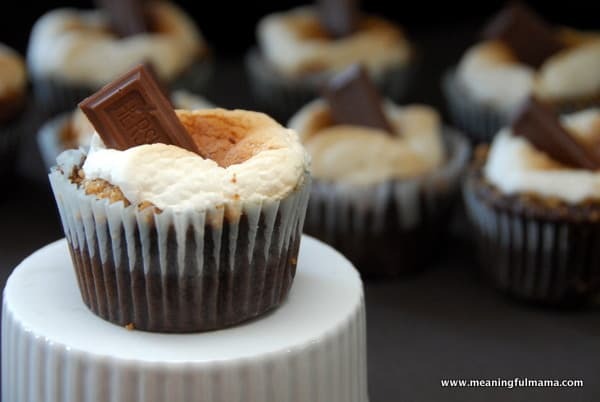 You will need 7 halves per cupcake. I did the cutting part by myself. The decorating part the kids can do. I made an example, but the kids were able to stick the pieces in place. The gum drop goes in the center with the seven petals, all facing the same direction, circling around the center gum drop. It is that simple. It’s the perfect spring cupcake for your next celebration. Surprise your child’s class with these or take them to your next party. Happy Spring!